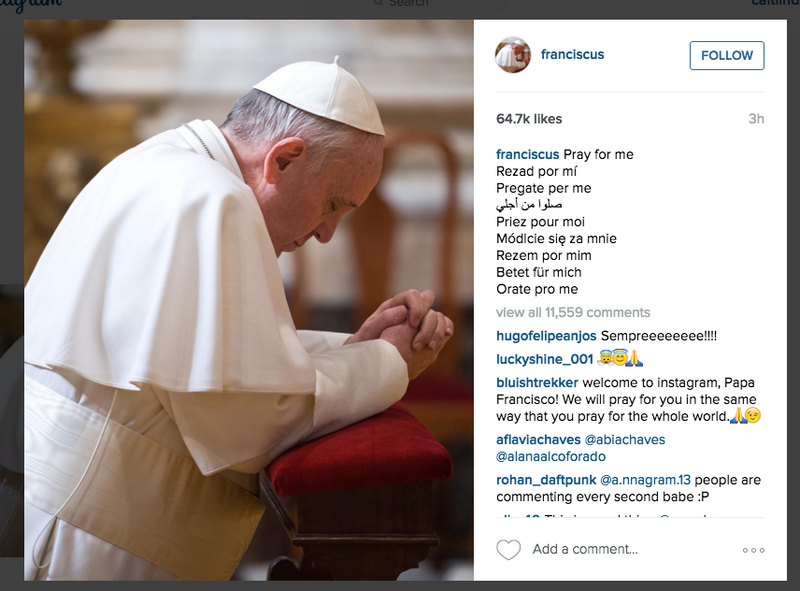 Within few hours of the launch today @Franciscus accumulated 400,000 Instagram followers. On Twitter the popular Pope has no less than 25 million followers in nine languages.Twitter released a limited edition of Pope emojis during the his visit to the United States. Pope Francis is the Hippest Pontiff Ever. Francis’ first post on Instagram shows him kneeling in prayer with the caption “Pray for me”.